Turkey rounds up 52 Syrian IS suspects - SABC News - Breaking news, special reports, world, business, sport coverage of all South African current events. Africa's news leader. IS are blamed in Turkey for a spate of terror attacks, including a 2015 bombing on a peace rally at a train station in the capital Ankara that claimed 100 lives. 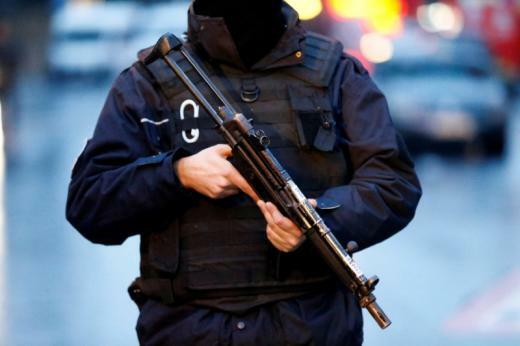 Turkish authorities on Thursday detained 52 suspected Islamic State (IS) group jihadists in northwestern province of Bursa as part of a crackdown on the militants, state-run Anadolu news agency reported. Police launched raids at five addresses in the Osmangazi district to round up the suspects who were all Syrian nationals, Anadolu said. Turkey has stepped up the fight against the jihadists and allowed a US-led international coalition to launch air raids on the group’s bases in Syria from its soil. This entry was posted on 14 Feb 2019,12:41PM at 12:41 PM and is filed under mobile-leadstory, World. You can follow any responses to this entry through the RSS 2.0 feed. Both comments and pings are currently closed.